December 15 is the anniversary of the death of W. Timothy Cuny, OSA. William Timothy Cuny was born March 20, 1942 in Evanston, Illinois. His parents were Charles H. Cuny and Cecilia D. Cuny. He is a graduate of Mendel Catholic High School, Chicago, Illinois. He earned a B.A. in Philosophy from Tolentine College, Olympia Fields, Illinois, an S.T.L. from Colegio Santa Monica, Rome, Italy and a Master’s in Christian Spirituality from Creighton University, Omaha, Nebraska. He entered the Augustinian Novitiate September 3, 1961, made his profession of temporary vows September 4, 1962 and professed solemn (perpetual) vows September 4, 1965. He was ordained a priest August 28, 1970. 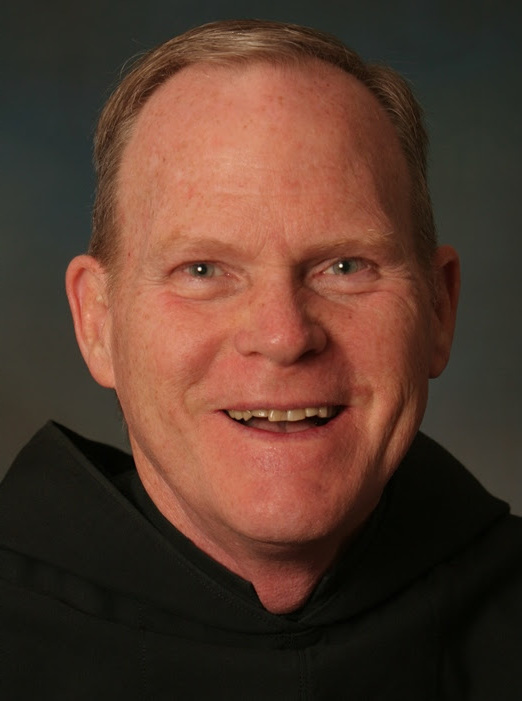 He has served as Associate Pastor at St. Clare of Montefalco Parish, Grosse Pointe Park, Michigan (1970-1971, 1988-1992 and 2002-2006), Teacher at Augustinian Academy, St. Louis, Missouri (1971-1972), Teacher at St. Augustine Seminary, Holland, Michigan (1972-1976), Province Vocation Director (1976-1979 and 1992-1999), Associate Pastor at St. Mary Parish, Independence, Missouri (1979-1983), Associate Pastor at Immaculate Conception/St. Henry Parish, St. Louis, Missouri (1983-1984), Director of Pre-Novitiate Formation at Mendel Monastery, Chicago, Illinois (1984-1988), Parochial Vicar at St. Jude Parish, New Lenox, Illinois (1999-2000), Administrator and later Pastor of St. Gregory Parish, Cambridge, Ontario (2000-2002), Director of the Province Mission Office at St. Nicholas of Tolentine Monastery, Olympia Fields, Illinois (2006-2008), and as Administrator and later Pastor of St. Peter Parish, Douglas, Michigan (2008-2013). In addition he was Prior of the Augustinian community during his time at Immaculate Conception/St. Henry and at Mendel Monastery. Father Cuny also served as community treasurer while at Immaculate Conception/St. Henry Parish, St. Clare of Montefalco Parish, and St. Nicholas of Tolentine Monastery, Olympia Fields, Illinois, where he resided when he was Vocation Director, and at St. Gregory Parish. Father Cuny was diagnosed with a leukemia-like condition called amyloidosis. His bone marrow produced blood with too much of the protein amyloid. This caused his heart to become stiff and unable to pump blood adequately. For that reason, he resigned as Pastor of St. Peter Parish, effective July 1, 2013. He was assigned de familia to the Augustinian community at St. Matthew Parish, Flint, Michigan, while residing with permission in Macomb, Michigan from August 1, 2014 through October 30, 2014. There he gave fraternal care to Rev. David L. Brecht, OSA in the final months of his life. Effective November 1, 2014, he was assigned to Marylake Monastery, King City, Ontario. In both these locations he provided sacramental ministries in various parishes and Catholic schools, as needed and as his health allowed. In June, 2015, Father Cuny was assigned to Bl. Stephen Bellesini Friary, Crown Point, Indiana. He assisted in the care of the elderly and infirm friars there and provided sacramental ministries as needed. His heart function continued its gradual decline. In December, 2017 he entered Hospice care. He died peacefully during the night of December 15, 2017. Father Cuny is remembered as a good preacher. He gave generously of himself to carry out each of the many varied ministries which he was asked to provide.